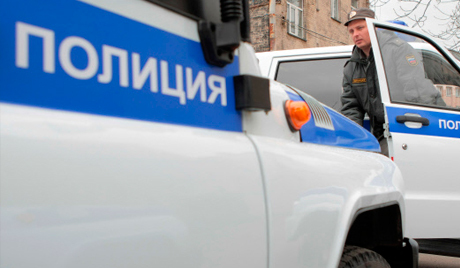 The man who staged a shooting spree in the Cathedral of Resurrection in Yuzhno-Sakhalinsk, in the Russian Far East, works as a guard in a private security firm, Interfax was told at the press service of the Sakhalin region department of the Investigative Committee of Russia. “The gunman was caught at the scene of the crime. Born in 1989 he works for a local private security firm. A criminal case was launched against him under p. 2 of Article 105 of the Russian Criminal Code (murder of two or more people),” Interfax was told. The man did not try to flee and was detained by a police patrol.All the wounded were hospitalized. “They were mainly wounded in the legs,” a press officer said. Earlier reports quoting the local diocese said that an armed man burst into the main church of the diocese Sunday afternoon and opened ragged fire. A nun working in the cathedral and a parishioner who is now being identified died of wounds at the scene. Six more people were injured. A team of detectives and investigators continues to work at the scene of the crime. An armed man has reportedly stormed the main Orthodox church on the Russian north-Pacific island of Sakhalin and opened fire on the parish, the local Church authority said Sunday. The attack is said to have killed two people, a local nun and a commoner, and wounded at least six other parishioners who were inside the Resurrection Cathedral. “Nun Lyudmila, who worked in the church, and a church-goer, who is being identified right now, both died from their wounds,” a church official said. The gunman broke into the holy temple at around 2 pm local time and was arrested red-handed. A group of investigators has already arrived at the scene of the deadly shooting.